Happy first week of 2017 gals. 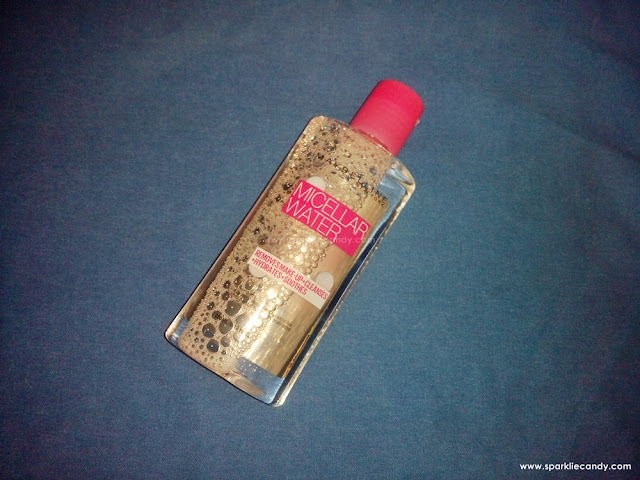 A bit of throwback, for today I will review something I bought from the last Lazada sale which is Maybelline Micellar Water. 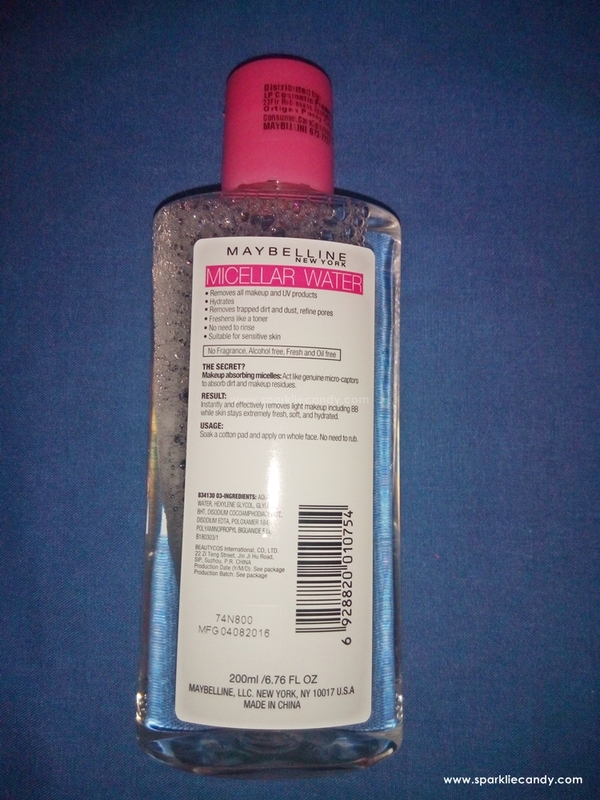 Yes I have been so in love with Loreal Micellar water for a little while now, so I want to know how the Maybelline one is different. Bottle is simply a transparent plastic with simple screw cap. Its color is pink, which is again, guys and gals my favorite. I just felt like mentioning it haha. When turned upside down it doesn't leak, which is a good thing. It even have this safety foil to make sure that the product inside is fresh and new. Like pure water it has no scent. It does stay true to its 4 in 1 promise. 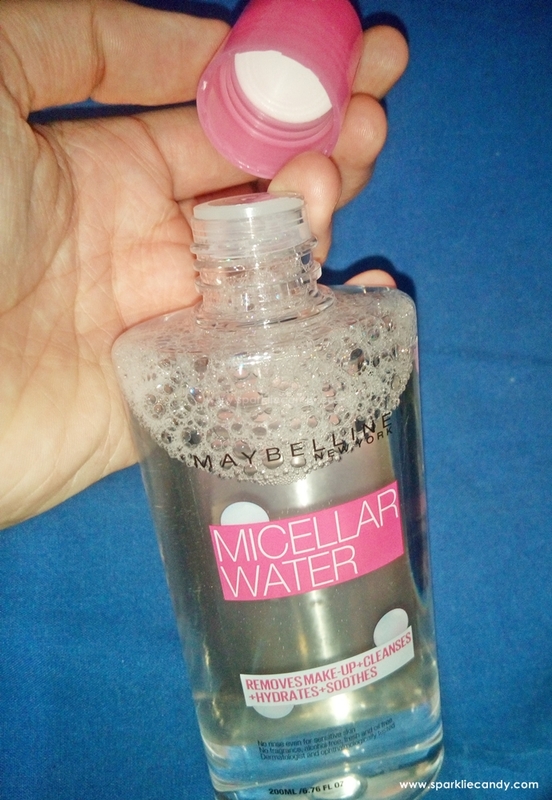 Removes makeup - What I really like with micellar waters is the fact that there is no need to tug the skin when removing makeup. The dirt is easily magnetified by the cotton ball like magic. Its is very different compared the old makeup removers I've used before. Cleanses - Tired and straight for bed? If I use Micellar water there is no need for extra cleansing with water and facial wash.
Hydrates - Its not an oily type of makeup remover but it gives hydration to my skin. No tight feeling at all. Soothes - My skin feels refreshed and so much better whenever I use this. P199 I bought mine at Lzada. 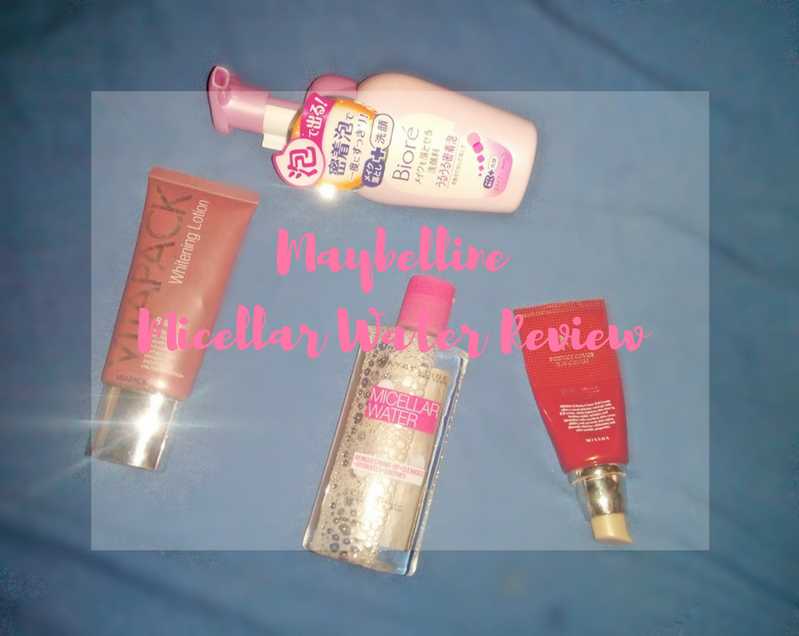 But its also available in the Maybelline kiosks in the leading Watsons and beauty sections of the leading department stores nationwide. Only, if its not out of stock. Refill an empty atomizer bottle and use this as facial spray! My friend says she is a single core worker so she can't multi-task. I guess so am I. But I am trying so hard to do a lot of things at once lately. Which includes blogging, hope you enjoyed my post, any comments just drop in the comments.